You&apos;ll discover festive events and plenty of holiday hoopla in Howard County, MERRY-land this month. The annual Holiday Festival of Trains at The B&O Railroad Museum: Ellicott City Station will be delighting visitors through January 29. Delight in this annual Old Ellicott City tradition! Sip hot cider while strolling through town, listening to carolers and visiting shops decorated for the holidays. Festivities kick off with the Tree Lighting in front of the Welcome Center at 6 pm. Santa will be in his workshop too. Local artists will offer unique and affordable art and handcrafted items for sale at this fun annual event. The studios of resident artists and arts organizations will also be open to the public from 7-8 pm. Light refreshments will be provided. Abisso Hall will be transformed into a holiday bazaar with gifts of all kinds from great vendors. Enjoy an afternoon of holiday music, wine tasting, shopping and merriment with your friends. Join Historic Savage Mill as they light the Bollman Bridge from 6-7 pm. And be sure to bring your cameras, Santa arrives at 5:30! Relax and browse unique and locally crafted items - all with a connection to nature. Sip a cup of tea, enjoy cookies, listen to live harp and piano music - while the children create whimsical critters from cones, pods and seed heads. Join Santa at Nordstrom Cafe for a fun event! Proceeds will go towards benefiting the Grassroots Crisis Intervention Center. Seating is limited. Enjoy live music, see the train garden and take museum tours. Need to stock up on bubbles for your holiday gatherings? Just love sparkling wine and need an excuse to drink more? The Iron Bridge Wine Co. invites you to their legendary bubbles tasting. There will be bubbles to taste, great food to snack on from the Chef Guys and big discounts available from the Wine Guys! Enjoy a walk through this lovely restored 1738 historic site decorated for the holidays. Belmont Manor isn&apos;t usually open to the public, so this is your chance to visit and get into the holiday spirit. Enjoy delicious treats and teas created especially for the occasion by Chef Ben Rubin. Painted Trillium, a three-member Celtic band, will be performing traditional Celtic and folk music. Bring your four-legged friend to see Santa and pose for a photo! Come watch The Columbia Figure Skating Club present The Nutcracker on Ice with national skater Robert Korycinski. Celebrate the holi-dogs season! Stroll through Symphony of Lights with your furry, four-legged friends. 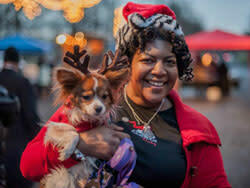 Don&apos;t forget to dress your dog in their most festive attire for the "Best Dressed Pet" contest! See the tree lighting, visit with Santa, see the train garden, enjoy live music and more! See Howard County dazzle with a New Year&apos;s Eve fireworks display. Kids can&apos;t stay up until midnight? No problem, fireworks begin at 7 pm. Celebrate with family and friends as you walk through the animated light displays and enjoy family-friendly entertainment at 2016 comes to a close. The Chef Guys have put together a fabulous 4-course menu to celebrate the New Year! Beverages are additional, but the Wine Team will have some fabulous wine pairings available that will go perfectly with your meal. A night of fun and dancing to ring in the New Year with live band The Klassix! 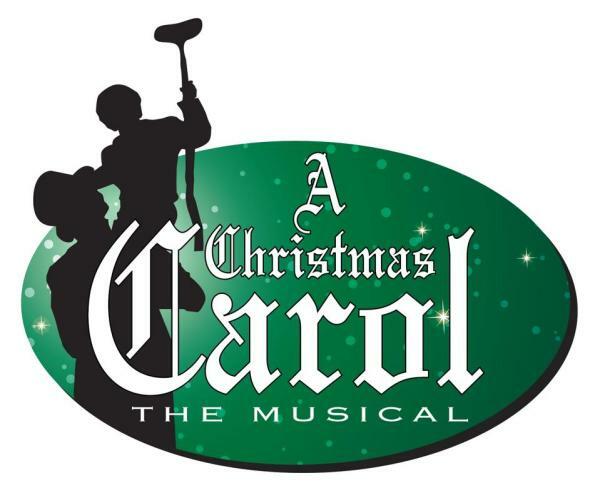 The musical adaptation of Charles Dickens&apos; classic story of Ebenezer Scrooge. Filled with beautiful melodies, dazzling choreography, and grand &apos;spirits," A Christmas Carol is pure joy and is sure to brighten everyone&apos;s holiday season! Follow Eubie the Elf as he sets out on a mission to restore Christmas joy to a town called Bluesville where every single child is on Santa&apos;s naughty list. Discover the work of Peter Wm. Gray, P.S.S., Artist for the Society of Saint Sulpice, Province of the USA and the "Roses in Winter/Images of a family: Ann and Mary, Jesus and Joseph" art exhibit. This exhibit goes beyond the immediate Guadalupe iconography, seasonal stock manger, the staid expectations of the typical Christmas setting. This is a presentation of a modern, new interpretation of these four lives which changed the world and perceptions of life and family forever. Presented by The Columbia Orchestra. Returning guest cellist Rachel Young joins for Osvaldo Golijov&apos;s Azul ("Blue") whose ravishing melodies are inspired by water, sky and even space travel. Enjoy listening to the Traditional Choir, Contemporary Ensemble, Christmas Choir and Brass Ensemble. Discover even more events and happenings on our events calendar!